Rathna is taking the sports medicine field by storm through roles including primary care sports medicine physician at TMI Sports Medicine & Orthopedic Surgery, assistant team physician for NHL Dallas Stars and team physician for the NHL Dallas Stars Ice Girls. She gives us a look into the challenging but ultimately rewarding journey that led her to where she is today, reiterates the importance of mentorship, and encourages us to help create a space where others can thrive — because when we help one another, we all succeed. Any woman who breaks ground in her respective field. Her accomplishments are noteworthy and an inspiration for other women who are motivated to strive to make an impact. 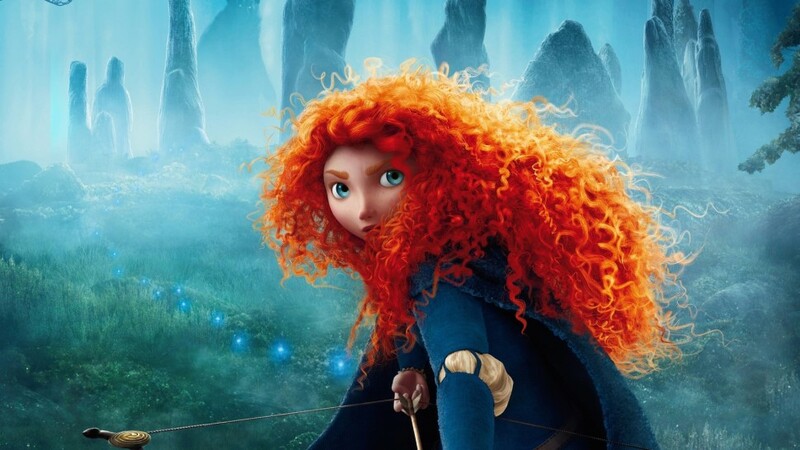 Merida, from the Disney movie “Brave.” She is a very independent female who gets out in the world and takes charge of her situation. Definitely, a great role model for women. Definitely need coffee to jumpstart my day when I wake up in the mornings. I like to do hot black coffee straight from my French press, or if I’m feeling a little fancy, grab a cup of cappuccino. I was born in Milwaukee, WI., but grew up mainly in Texas and speak four languages (English, Spanish, Hindi and Telugu) fluently. I am a primary care sports medicine physician who is specially trained for the comprehensive care of athletes and active individuals. Most primary care sports medicine doctors, including myself, work closely with orthopedic surgeons, should surgical care be necessary. My training was established in treating musculoskeletal issues; providing sonographic diagnosis; and performing various types of procedures such as steroid, hyaluronic acid and biologic injections such as PRP and stem cells. I also currently serve as the assistant team physician for the Dallas Stars NHL Hockey Club, as well as the team physician for the Dallas Stars Ice Girls and competition medical chair for the Dallas Figure Skating Club. My typical day starts with me waking up early to work out and listening to the news before going to my job in-clinic from 8:00 a.m. to 5:00 p.m. Depending on the day, I provide game coverages for the Dallas Stars after my work; these days end around midnight. On different days, I work with figure skaters and offer them medical coverage as well. Additionally, I provide CME lectures to physicians in the community via Texas Academy of Family Physicians Dallas Chapter, where I serve on the executive board as member-at-large. I am also part of the volunteer faculty for UTSW Family Medicine Department, where I interact with medical students and residents, and give lectures to them. What drew you to sports medicine? I grew up in an environment where science was part of life—especially having a father who has a PhD in organic chemistry; family meals consisted of him getting excited over plastics, pharmaceuticals, etc. However, his enthusiasm for the field did not infect me. I was more drawn to helping people beyond what was portrayed in textbooks and evidence found in research. My grandfather suffered the consequences of having a stroke and had his body half-paralyzed because of it. I saw how my family pitched in taking care of him, as well as assisting with his daily activities. This left a lasting impact on me as a young child, and the desire to help others. As I went through my career in medicine, I was drawn to sports medicine because of the ability to combine both my passions for sports and medicine. As a child, I played all sorts of sports, ranging from cricket to ultimate frisbee. I lived on getting an adrenaline rush by being active and engaging in various types of physical activity, as well as becoming competitive in winning games. Friendships and teamwork developed while being involved in sports. Unfortunately, I did see my teammates get injured and sometimes not be healthy enough to return to sport. This left a lasting impression on me as I wondered how they could be helped in terms of injury prevention and continuing to be kept healthy. What was the education process like to get to where you are today? In order to become a primary care sports medicine physician, you go through four years of undergraduate school, four years of medical school, three to four years of primary care specialty (depending on the field), and one to two years of sports medicine fellowship (depending on the program). The application process is exhausting, as it’s not just based on your grades and test scores, but also interviews and extracurricular involvement, like volunteer experiences and research in the respective field. My advice to fellow babes looking to pursue a similar path is to not only stay focused, but that there is light at the end of the long, dark tunnel. Focus on why you wanted to do this in the first place as well the ultimate goal you’re looking for. It makes the process that much more worth it at the end of the trials and tribulations. My past professional and academic experiences and lessons have prepared me well. At various points in my training—especially during residency and fellowship—my mentors completely trusted my ability to diagnose and manage elite athletes, while reassuring patients they were in good hands under my care. This allowed me the ability to gain confidence in approaching patient care. On the other hand, our field is always evolving, which is good as it keeps us on our toes. There’s no way to prepare for new information. You learn to educate yourself on current information and how to counsel your patients on the new information and the impact it can have on them. My biggest career milestone is becoming the first team physician for NHL Dallas Stars Ice Girls. To this date, there has not been an established role or focus on female athletes. A new position was created for me when I expressed interest to the team, which allows me to specialize in female health. I look forward to continuing my work with them and other female athletes, as their demands and medical attention differs from male athletes. As a female, there are challenges to not only be taken seriously, but also be held in the same regard as your male counterparts. However, that experience was different for me and it is all due to my mentors (both male and female). They held me to the same standard as others undergoing training; I was expected to be knowledgeable and capable of treating patients. People who succeed in their respective fields tend to help others based on a person’s abilities, and don’t discriminate based on gender. In my industry, the gender ratio is overwhelming disproportionate, with males dominating the field. More recently, women are emerging into this field and making big strides in their involvement in the sports industry, ranging from professional sports team coverages to being on the medical board for professional leagues. The common misconception about my job is that I only deal with athletes and that too professional ones. My role is much more involved than that. It involves nonoperative management of orthopedic cases such as osteoarthritis as well as performing procedures like ultrasound-guided injections and regenerative medicine. I do game coverages for various sports and events, but the scope of practice extends beyond this to concussion management and injury prevention and rehabilitation. Each individual who walks into your office is unique. You never know who will follow your “textbook case scenario” and who will challenge your skill set and knowledge [and force you to] think outside of the box. People generally assume seeing a doctor means we have an answer to all the problems and can fix them instantaneously. However, that is not the case. It is an involved process that requires us to dissect the problem and necessitates extra time to determine a solution that targets the issue at hand. The biggest advice that shaped me came from my best friend, who is a highly accomplished lawyer. Never take “no” for an answer. If you’re determined to achieve something, make it happen—regardless of what obstacles may come your way.